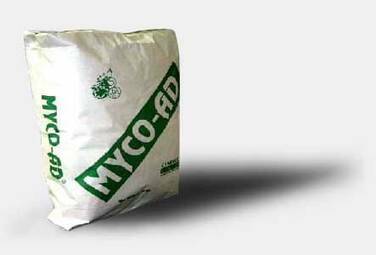 Broad spectrum mycotoxin adsorbent for all types of feed. Reduces: mortality and mycotoxicosis costs. Secondary problems like bacterial diseases and vaccines not performing. 2.5 kgs per ton of feed. Add to mixer with the other ingredients and mix homogeneously. With all feed ingredients. MYCO-AD® DOES NOT affect, NOR adsorbs any of the other ingredients (vitamins, minerals, coccidiostats, nor antibiotics).